Heute beleuchten wir das Thema, Brettspielherstellung Made in China. Dazu haben wir mit der wohl bekannteste Firma aus der Szene, Panda Games Manufacturing, sprechen können. Fabian Louton gewährt uns einen Blick hinter den Kulissen des Herstellers aus Shenzhen. Thank you so much for taking your time doing this interview with us. 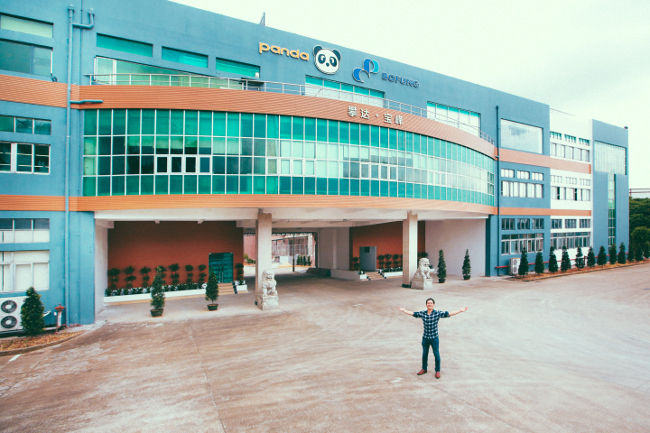 Can you tell us a little bit about Panda Game Manufacturing, its History and your role within the company? First of all, I wanted to thank you to reach out to us regarding insight into the board game industry! As you know, I work for Panda Game Manufacturing, which was founded by Michael Lee in 2007. As Michael was already a great fan of board games, he frequented websites like Board Game Geek and the Board Game Designer Forum. 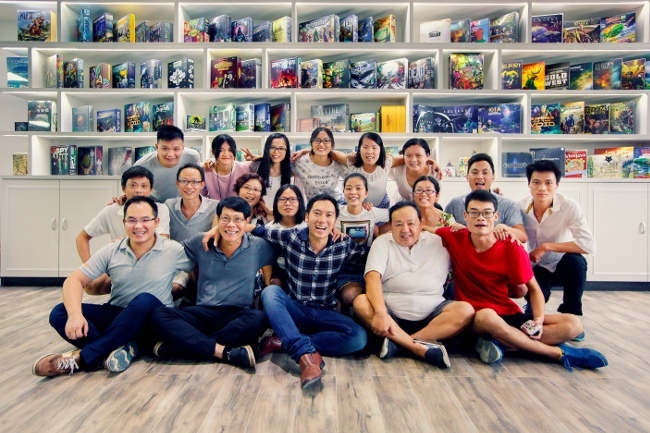 Many of the posts lead him to identify a need for an accessible, reliable, full-service board game manufacturer – a manufacturer who was able to deliver high quality at a fair price. It seemed that at the time a publisher had to make compromises or produce their games in Europe at much higher costs. 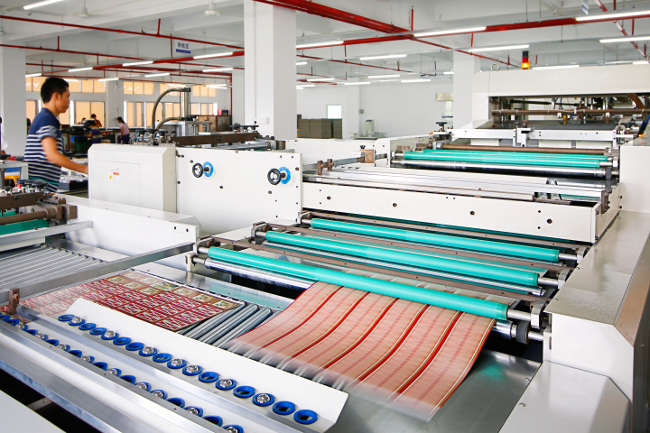 Michael knew that with the right machinery, proper training and management, as well as a comprehensive understanding of the industry, a competitive manufacturer could be based out of China. And thus, PandaGM was born. Shortly thereafter, Richard Lee, Michael’s brother, joined the company and we have been growing ever since. As a Senior Account Manager, my role is to work with publishers throughout the entire creation/production process. Sometimes this starts as early as game ideas (when component constrictions/suggestions can be discussed), but most often it begins with receiving specifications and providing initial pricing. Once the specifications and quantities are finalized, and once we have received the signed quote, the project is officially kicked-off and we can begin the manufacturing process. Panda is very special in its organization. 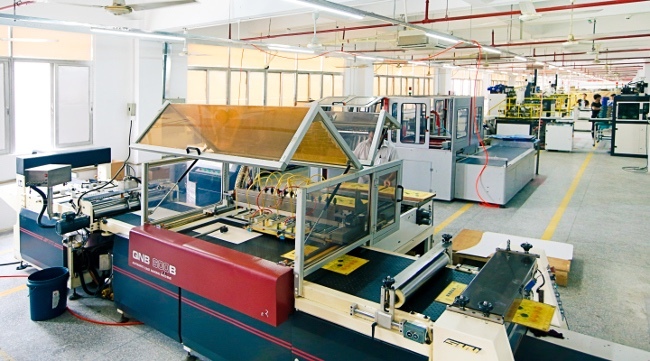 It’s production Facility is located in Shenzhen China; the Management is located in Canada. You have Project managers in North America and Europe, in your case you are located in Berlin. How do you Communicate and manage the projects with the factory? Any Language Barriers (You speak Chinese?)? Also, you have to adjust to the time difference between Germany and China. Can you give us a glimpse into your daily work? Yes, we are indeed a very special organization ☺. We have a great team at our factory in China. The staff speaks English, and we communicate mostly via email. However, we also use Slack (mostly amongst the team in North America and Europe) and WeChat (mostly with the team in China) to get more immediate responses and make sure we can stay connected at all times. Before moving to Berlin in late 2015, I actually worked for PandaGM out of Indianapolis, IN. The 12 hour time difference to China then was much more difficult than the 6 hour time difference we have here in Berlin. I appreciate that I have the first half of the day to communicate with China (until they wrap up their day) and the second half to catch up with the North American Pandas. It works quite well. Was Pandemic the first hit product for Panda? Can you name other Games from your Portfolio which you consider “Best Sellers”? Yes, you hit the nail on the head. While we really started to make board game production more accessible to smaller publishers, and we still work with many independent creators and publishers using crowd-funding platforms (such as Kickstarter), Pandemic was certainly the first “hit”, and it has definitely helped to enable us to become the company we are today. We certainly have other “Best Sellers”. To name a few: Eclipse, Scythe, One Night Ultimate Werewolf and Terra Mystica. A couple recent hits include: 7th Continent, Charterstone and the Gaia Project. It’s been a common perception, that products made in China are low price and low Quality. In many cases warranted, I understand that. Do you still face this bias? It is true that this misconception exists across many industries regarding Chinese manufacturing. However, we face this bias less and less these days. I believe people are now more understanding that the origin of the product is less important than the machinery used, the training of the staff, the management of the facilities, the quality control, the customer service and the passion and understanding of the product being produced. Where do you see the competitive advantage of Panda GM over its competitors like Ludo Fact, printers from Poland, USA and China? I believe every manufacturer has advantages and disadvantages. We especially pride ourselves in our customer service, and the fact that we are not happy if our client is not happy with the final product. We have multiple check-points in place throughout the entire preproduction and mass production process to ensure there are no surprises. We believe that our success is directly tied to our clients’ success, and we want to see their business grow. Of course, the cost of production is also one of our main advantages over EU or US based manufacturers. 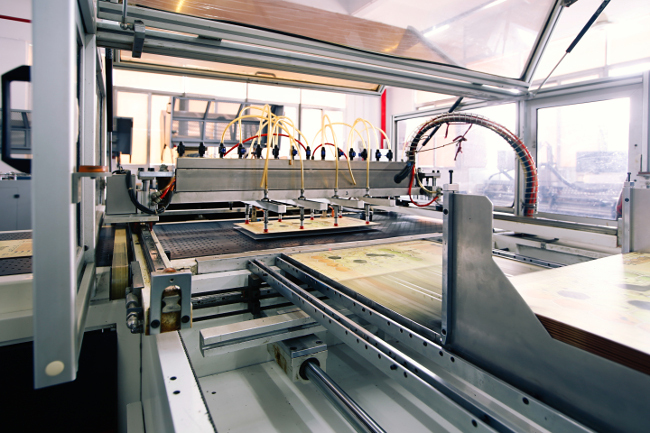 What is the most important factor for your Clients when they seek out a Manufacturer? Price? Quality? Production Lead time? Reputation? This differs from client to client and even sometimes from project to project. If, for example, a publisher urgently needs a game to exhibit and sell at a North American or Europe based convention, then we are most likely not the best fit. We openly communicate this, as we understand trust is huge factor when establishing long term partnerships with our clients. We know we are not the cheapest option when it comes to manufacturing games in China; however, we also never compromise when it comes to quality or our reputation. I guess you don’t produce every game component yourself. 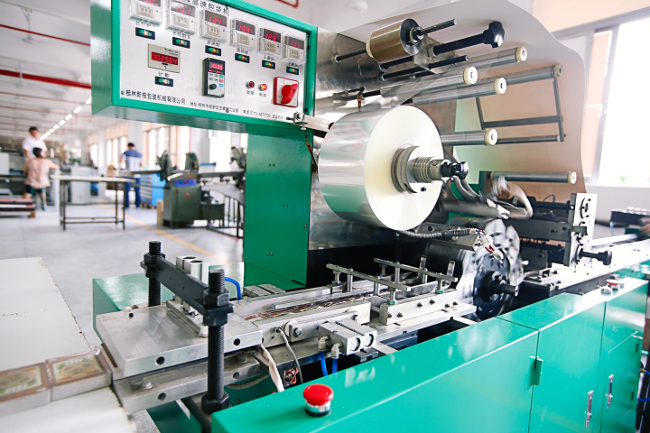 What is the factory core expertise and what parts are outsourced? How do you ensure the quality of your suppliers? That is correct, we do source some of the components produced. 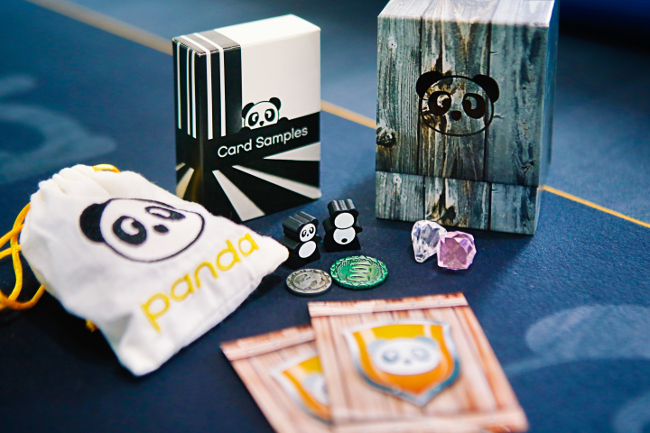 Panda owns the factory where all printed game components are produced, and where the games’ quality is controlled before they are assembled. For all non-printed components, we only work with carefully vetted factories. 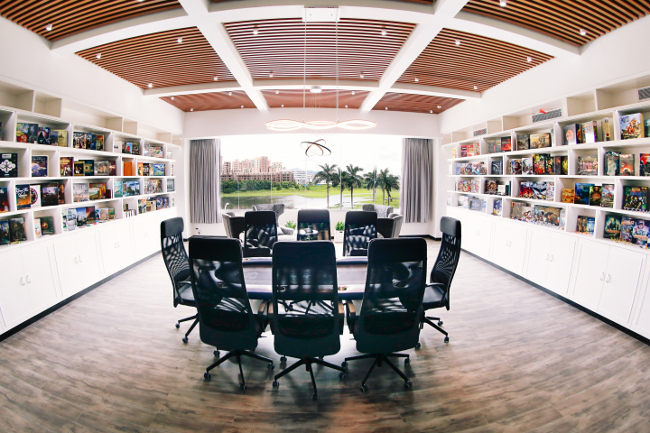 We have a dedicated Sourcing Department who visits and oversees our partner factories. Most factories we work with (for wood and custom plastics, for example) work exclusively with PandaGM for board game production, and have been partners of ours for 7+ years. During the assembly process of the Game, how do you ensure that no components are missing? I imagine it would be a big hassle, if let’s say one meeple, or one Card is missing? How do you assist your clients should this issue occur? Every project has a detailed Spec Sheets, which is used to ensure all components are present during assembly. We also produce 1% of spare parts. These spare parts are produced at no extra charge and can be used to fulfill any customer service requests. How long is the average timeframe for a project, from Quotation until Delivery? That really depends on several factors. 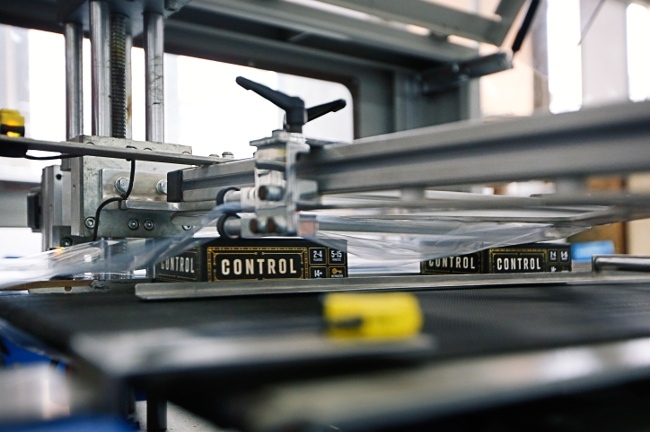 If the files for the project are relatively ready and meet our prepress requirements, and if the game does not include any complicated custom plastics (which might require many iterations), we can usually get through prepress in 2-4 weeks and finish mass production within another 8-10 weeks. 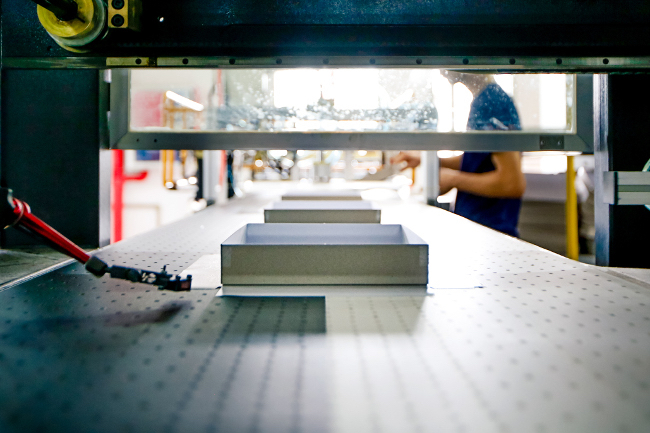 After Receiving an order for a print run, can you roughly describe the production Process? Once the order has been received we provide the client with a link to upload their files to our FTP server. 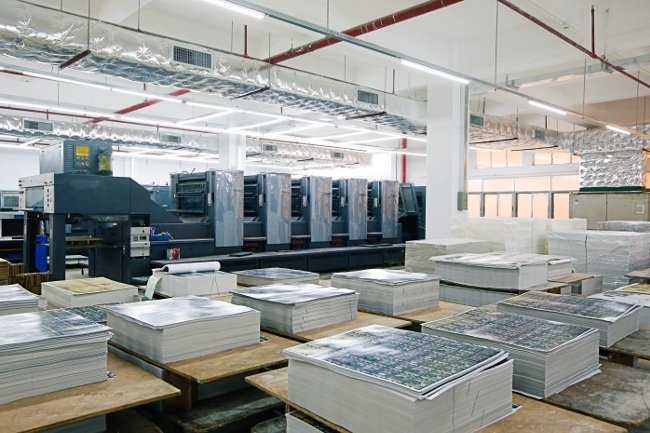 Once the files are all online, our US-based prepress team will check the files to ensure they meet our requirements. This team of prepress specialists has been instrumental in improving our communications with clients’ graphic designers, and has help to increase the preproduction time immensely. Additionally, we have a lot of resources available for our clients on our website (including the amazing Design Guidebook), this also allows for a smoother preproduction process. Once all/any issues have been addressed, and all files are ready, the files are converted into Digital Proofs. These proofs will be uploaded to the FTP and checked by the client. If the proofs are approved, we produce a Preproduction Copy (PPC) of the game. This, along with any non-printed samples, will be sent to the client for approval. The PPC is digitally printed (rather than using our off-set printers) and it will be used to approve material and colors. 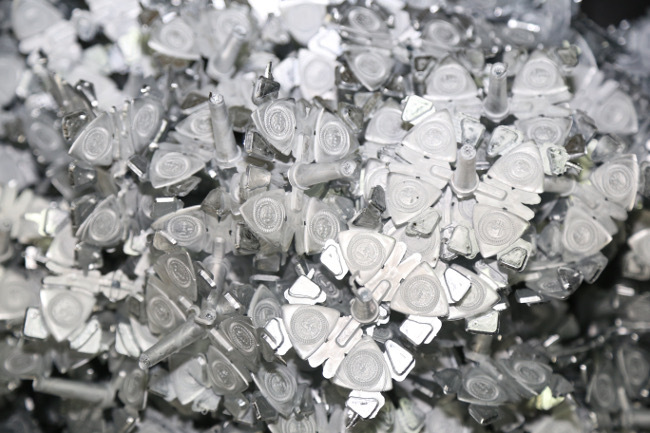 Once the PPC and component samples are approved we can begin mass production. The next checkpoint is the Mass Production Copy (MPC). This is the first off-the-press assembled game. It is shrink-wrapped and looks exactly as the games will look on the store shelf (or when received by crowd-funding supporters). All other games are waiting to be assembled until MPC approval has been finalized. At this point, any mistakes will, of course, incur extra cost and time. However, should a rules mistake be caught, for example, it is still easier to add a sheet of paper to the games before assembly than opening thousands of games and then adding an addendum that way. Once the MPC is approved, we finish assembly and can ship the games! I assume most of the Games you produce are for North American and European Markets, do you also handle the shipping of the games or are you mainly working under Ex Works Terms? That is correct, those are our main markets, although the Chinese market is growing and has a lot of potential. 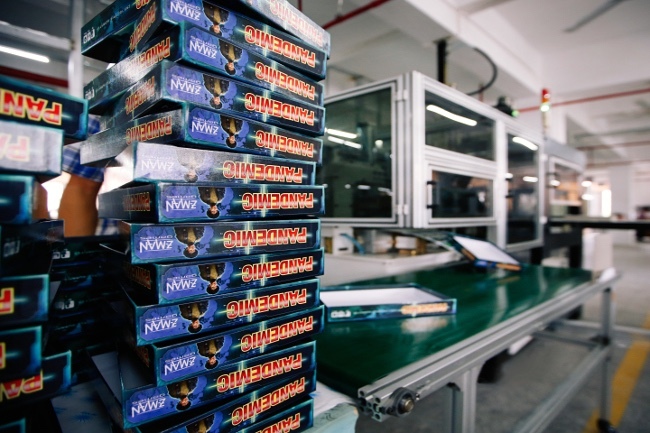 While our expertise lies in the production of games, due to years of experience with shipping out of China, our logistics department can help to facilitate the shipping of games to our clients’ warehouses as well. Do you do many Crowdfunding Projects (e.g. Kickstarter)? What are the biggest differences compared to a project from a large Publisher? We do work with many publishers who raised their funds via a crowd-funding site (such as Kickstarter). This is not true across the board, but on average the established publishers will be more experienced with manufacturing. It can be really rewarding, however, working with a first-time publisher and witnessing their success. 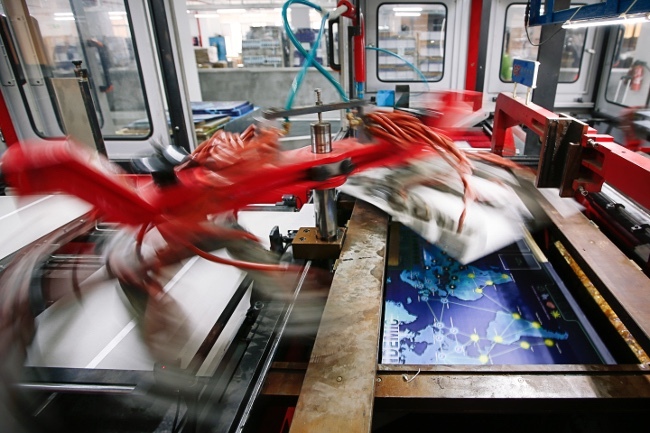 What is your minimum order Quantity per Print Run? Our MOQ is 1500 units. Do you assist your clients during developing process of the game? What I mean by that is, do you give Creators advice what material to consider, what standard size to use, to save time and cost. In your Homepage, I’ve seen that you offer a set of guidelines as reference. We are all gamers here at Panda. We love to be involved in the process as much as possible. For us a game is more than just specs, and this allows us to provide input about materials, components and ways to either cut costs or upgrade the game and take it to the next level. The Components for Board Games are still pretty standard (Cardboard, Wood, Plastic etc. ), do you see any new innovation coming in terms of Material which can be used to make the components sturdier or more beautiful? Besides cardboard, wood and plastic we are seeing some really neat polyresin components (as can be found in the Stonemaier Treasure Chests), as well as custom metal coins as an upgrade from cardboard coins (most recently in the Clans of Caledonia board game). We have also seen more rubber play mats and plastic playing cards being requested by our clients. I noticed, recent games like Mechs vs Minions (Riot Games) and Anachrony (Mindclash Games) made by Panda, has some very high-quality Miniatures. I own them myself, I am impressed with the finished product. Do you produce them in house or do you cooperate with experts in this Field? Do you plan to do more miniature focused Games? Thank you ☺ We are very happy with the development of our in-house plastics department. We have identified it as a point that could use improvement, and we believe we have really turned it into a strength. The department is led by a technician with over 10 years of industry experience, and we consider ourselves extremely fortunate to have him on board! Of course, the amazing 3D files/sculpts submitted by our clients are also key in being able to produce high quality miniatures. Can you tell us a bit about production process for Miniatures? Which Material is commonly used and why? What is the biggest challenge (production wise) you’ve encountered so far? The production of custom miniatures is certainly the most time consuming of all processes, and the overall production time of these games reflects this. For these projects, we try to get started on design verification and preproduction as soon as possible (often even before most print files have been finalized). For most board game miniatures, we will use PVC with the highest hardness degree. This allows for great detail in the minis without risking an outcome that is too fragile. When a perfect fit is necessary (like snap bases in Cry Havoc or ball joints in Tail Feathers’ birds) we cannot use PVC due to the inherent shrinkage of the material, and ABS can be used instead. Those cases can be particularly challenging and require more testing and a longer pre-production time. 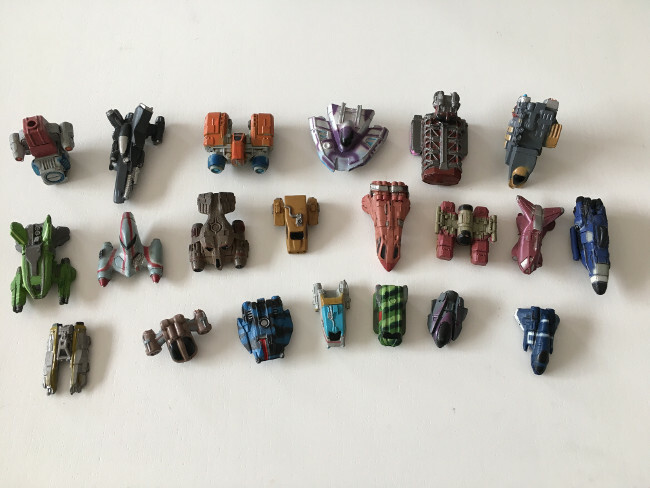 The Game Xia Legend of a Drift from Far Off Games has some Painted Miniatures. Is all done by Hand? Is it a costly Process? Painted miniatures can be produced with different techniques. Hand painting is definitely the most costly and takes the longest. If the design and paint scheme of the miniature can be determined before the molds are even produced, we can work with different colored plastics to reduce the painting operations required. 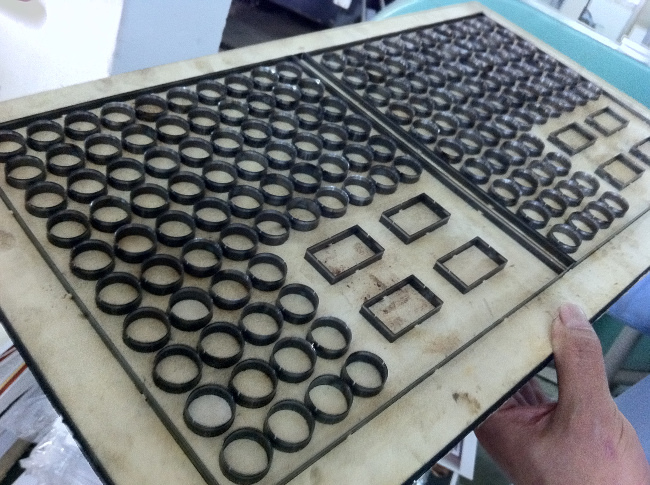 We also use stamping processes and stencil/spray painting for details and gradients. From a Manufacturer’s perspective, would you say this Business is highly competitive with low margin of error? We have certainly seen a lot more competition in the last couple years, and we have continuously observed that it is not only the margin of error, but the way an error is dealt with that determines success. Despite competition this is one of the friendliest industries. The industry is still growing and everyone is happy to see everyone else’s success. This is especially evident among publishers! How would you describe the status of the Board Game Industry? Growing, Stable, in Decline? What do you expect for the future? The industry is certainly still growing. While it can be expected that the growth rate will slow down, I think there is no reason to believe it will decline any time soon. Do you see a potential Market for Board Games in Mainland China developing as a viable entertainment alternative? I noticed more and more games are available in Chinese language. Most definitely! With China’s emerging middle class the Chinese market has a huge potential. Let’s look into the future, what are your plans going forward? Does Panda plan to expand its business to new areas, maybe even consider becoming a Game Publisher? While we believe that it is imperative to always innovate and adapt, we want to do continue producing the highest quality games and continue to focus on aiding our clients’ success, rather than competing with them. Do you play the Games you make? Are you a Gamer? If yes, what are your favorite Games? Definitely! It is one of the requirements to work at Panda ☺ I prefer euro games, but I can also really get into thematic games with the right group. Some favorites at the moment: Concordia, Trajan, Terra Mystica, Zombicide: Black Plague and Orleans. I am also really excited to finally dig into Gloomhaven! Which Project was your personal favorite you have worked on so far? That’s a tough question, but I will go with a recent example that is close to me. I really enjoyed working with the designer of Clans of Caledonia. Juma is also based in Berlin, and it was great to see his success on Kickstarter and his professionalism throughout the campaign. Thank you so much Fabian for taking time out of your busy Schedule and doing this interview with us. All the Best of Luck for your future projects!